The Metropolitan Museum of Art and Ellis Island will appeal to museum buffs. 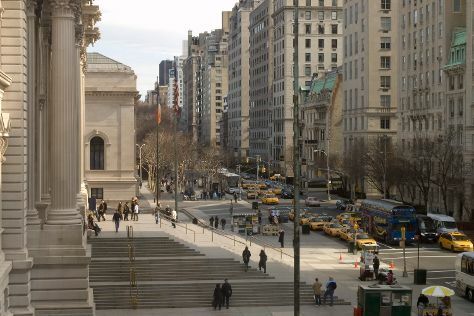 Get a sense of the local culture at Fifth Avenue and The Museum of Modern Art (MoMA). Explore the numerous day-trip ideas around New York City: Jones Beach State Park (in Wantagh), Manasquan Beach (in Manasquan) and Bay Head Beach (in Bay Head). There's much more to do: make a trip to Times Square, get a new perspective on nature at American Museum of Natural History, kick back and relax at Goldsmith's Inlet, and explore and take pictures at Central Park. To see ratings, where to stay, other places to visit, and more tourist information, read New York City road trip planner. If you are flying in from Brazil, the closest major airports are La Guardia Airport, Newark Liberty International Airport and John F Kennedy International Airport. July in New York City sees daily highs of 35°C and lows of 26°C at night. Wrap up your sightseeing on the 31st (Fri) to allow time to travel back home.